Go Skate on June 21st – International Go Skateboarding Day! June 21st is the 14th annual celebration of the day when skaters “blow off all other obligations to go skateboarding” as a way to bring global recognition to a sport they love. Skateboarders will celebrate their local communities with events all over the world. GSD is a day skateboarders around the world have come to know. The holiday was conceived in 2004 by the International Association of Skateboard Companies (IASC) to help make skateboarding more recognized around the world. Through various events held globally in major cities, Go Skateboarding Day has made HUGE strides in bringing awareness on the importance of having places for skaters to enjoy what they love to do. In 2006, more than 350 events took place in 32 countries around the world, and, the following year, the IASC received Special Congressional Recognition from US Congresswoman Loretta Sanchez for its work in promoting the sport of skateboarding and encouraging young people to get outside and enjoy the sport. And, this holiday is celebrated by millions of skaters around the world. The holiday is heard to have been started on July 14, 2002 when New Yorkers Kerel “Srikala” Roach and Bryan Chin organized the first All City Skate Jam and circulated flyers for a day-long gathering of skaters from all walks for life. The day was a celebration that gained attention from other pros and larger businesses, including the International Association of Skateboard Companies, which, a year later, christened June 21 Go Skateboarding Day by 5boro Skateboards founder/owner, Steve Rodriguez. 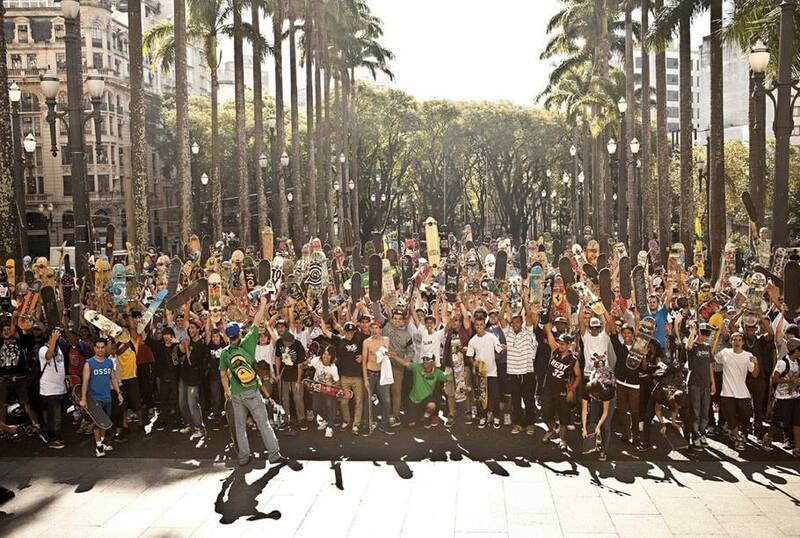 Now Skateboarding Day boasts hundred of thousands of participants in each year all over the world. New York and San Paulo Brasil have declared it an official holiday and are both said to hold two of the largest gatherings in the world. Join us at Hillsboro Community Center, 50 Hillsboro Technology Drive, Deerfield Beach at 7:30pm for the annual budget meeting and to rally support for the park to be built in Deerfield Beach. Invite your friends and family to be part of this important meeting that happens to fall on “Go Skate Day”. Coincidence….maybe not?!?! See the Facebook Event Page here. Deerfield Beach has always been a small South Florida surf and skate town with local shop Island Water Sports being a cornerstone for over 30 years. We have beautiful beaches and many young people that enjoy an active lifestyle. The city boasts great city parks but not one offers a place for our community to skate. Help us to change that and bring a state-of-the-art park to Deerfield Beach. SIGN THE PETITION HERE and follow the updates on the FACEBOOK PAGE. Andrew Skateshop, Skate Free Florida, & Nike SB are hosting two events in Miami.